BY SEAN EGAN | At 30, Matt Butler can finally look back with clarity at his time on a destructive path taken by many a musician given to the excesses of the rock and roll lifestyle. Four years after spending his salad days as a Lower East Side rocker in the throes of addiction, Butler has emerged stronger, with a set of songs that grapples with his past and tracks his redemption. The album in question is Butler’s solo debut, “Reckless Son.” Direct in its message and brimming with pathos, the LP toes the line between rock and roll and folk-tinged, acoustic-based singer/songwriter material. In its plainspoken, poetic vignettes, it most vividly calls to mind Bruce Springsteen (“a big hero of mine,” Butler noted), as Butler tracks the precipitous lows of addiction, as well as his climb back to sobriety. 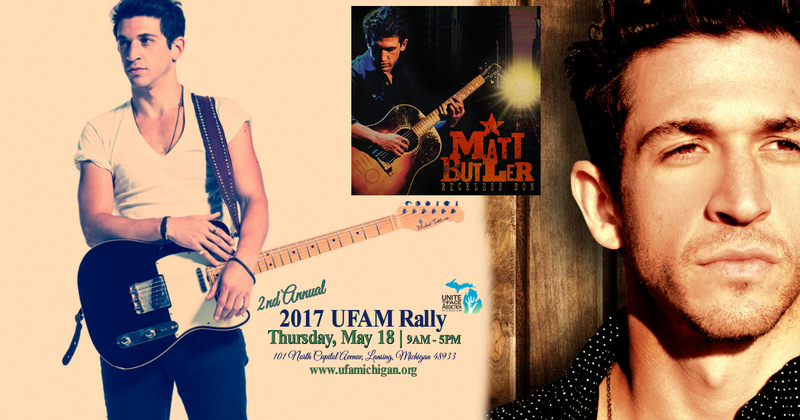 Singer/songwriter Matt Butler begins his residency at Rockwood Music Hall on March 1. Photo courtesy the artist. That sense of gratitude stems from the support system Butler discovered after reaching out for help with his addiction. By the time he checked into a Caron Treatment Center in April 2013 (caron.org), his father was fully convinced he’d get a call announcing his son’s death, Butler revealed. Over time, through those he encountered during recovery, and healing his relationship with his family (who “never left,” Butler gratefully recalled), he was able to conquer his demons. “Every time I took a little baby step forward, there was somebody right behind me ready to catch me if I fell,” Butler said. At this point, sobriety has done much to help shore his music career. His extended Caron family still supports him, and he noted that the publishing deal that led to “Reckless Son” sprung from a serendipitous gig played at the Freedom Institute — his outpatient rehab facility at the time. But, that’s kind of how things have worked for Butler; wherever he goes, people react to his music’s openness. “It’s really, really validating as an artist, as well, to be able to play music that people respond to so tangibly. There’s a lot of laughing and crying at a lot of these shows,” Butler noted. “You release your song and then it’s up to everyone else to have their experience with it. 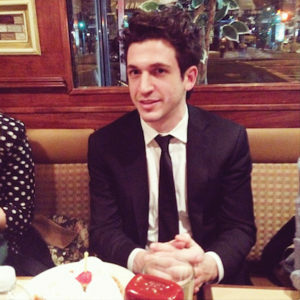 You want to honor that every time you perform it” — something he hopes to do at his upcoming Rockwood gigs. Mine were: good job, loving partner, a house, kids. You never think, “I will become a drug addict, get sober some time after, and then life will go on.” Never on my mind. But at 25 years old, with a good job and engaged to be married, my life sucked. Suicide was a viable option. Living was a burden. Couple that with the fact my father was my boss, and he said if I didn’t seek help I was fired, and you have a perfect storm of the desire and possibility to get sober. I was at a low point and my hand was forced. June 16th, 1983 was the day I walked into Harbor Light in Monroe, Mi. 28 days later , and with a $892.00 bill that was paid by my insurance company, life started. My drugs of choice were booze (Gin and tonic); pot; any pills at all; and COCAINE! I loved me some cocaine. I had my first drink at 12. And I never had a “social drink’ in my life. 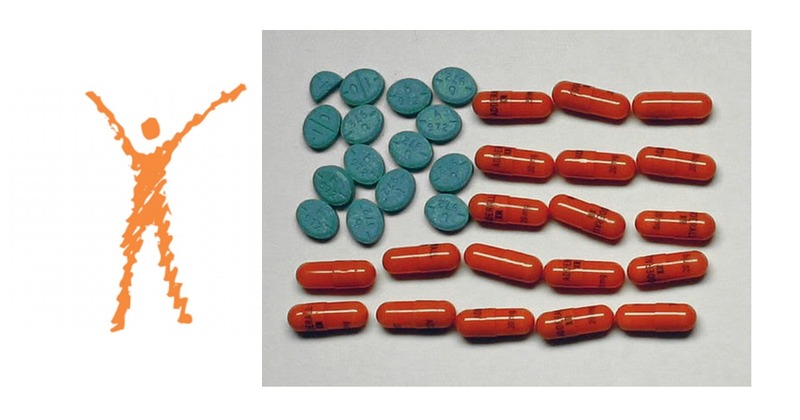 Every drink and drug were there for a purpose. To get me out of it, get screwed up, stop thinking and quit being an adult. Life has taken a lot of weird moves. Who would have thought I would have been this accomplished? Who would ever think I would be involved in a ton of great things? These accomplishments are a real testament to the way I have lived my life the past 32 plus years. 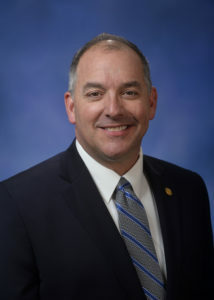 I am grateful to my sobriety and I endorse United to Face Addiction Michigan – UFAM. I look forward to presenting at the Rally May 18th! Born June 10th…..what a coincidence. 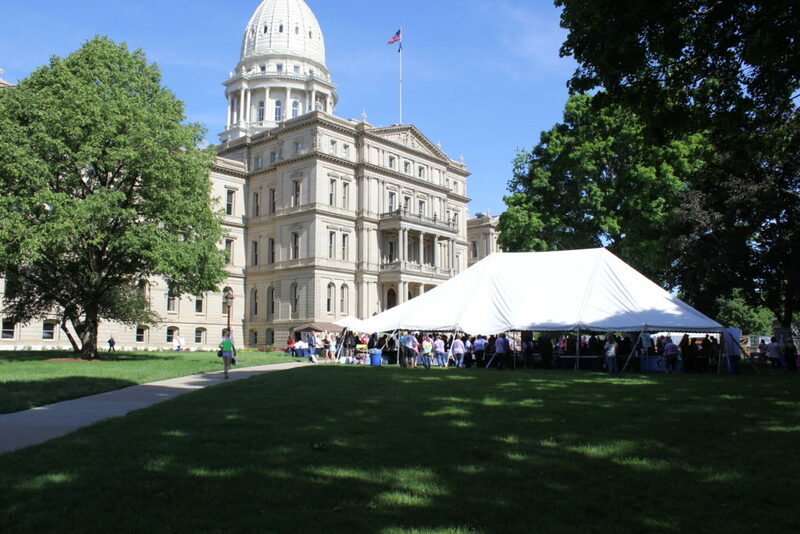 On June 2nd last year, a thousand plus recovery advocates gathered on the lawn of the state capital building in Lansing, Michigan. 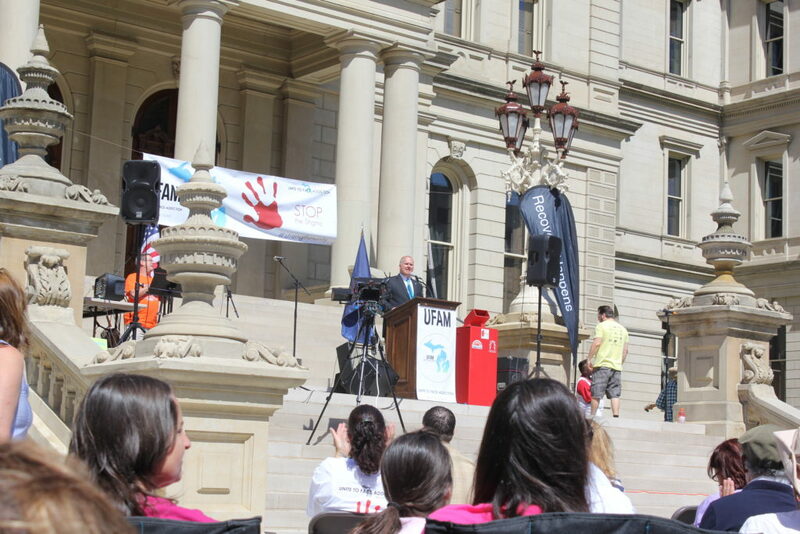 It was the inaugural rally for, Unite to Face Addiction Michigan (UFAM). 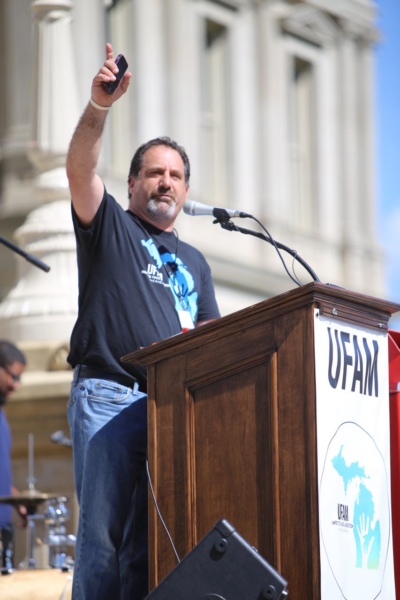 UFAM is a non-profit organization, established to alert lawmakers about the unique needs of the 23 million people in recovery in the United States. UFAM’s mission is to create strength in unity; eliminate the stigma of addiction; improve access to treatment; support prevention; and promote recovery through advocacy, education and outreach. 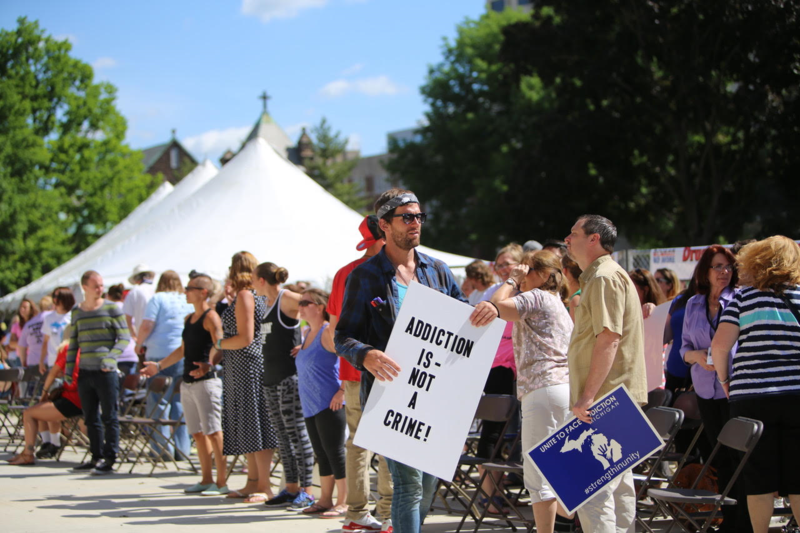 Last year, Unite to Face Addiction Michigan brought together people from all walks of the recovery world: treatment centers; recovery allies; people in recovery; addiction professionals; law makers; educators and specialty groups. Speakers included Craig DeRoche, former Michigan Speaker of the House and person in long term recovery; Judge Jodi Debbrecht Switalksi, a Senior Advisor at the Stuntman Group and advocate on addiction, who encouraged the crowd to get out and “do something” in order to promote change; and rally organizer Scott Masi from Brighton Center for Recovery. With hashtags like #strengthinunity, #togetherwecan and #silentnomore, UFAM is showcasing its collaborative effort this year. 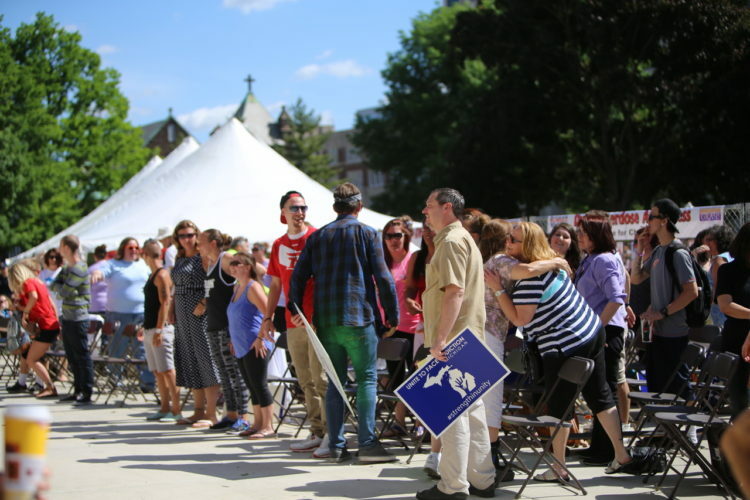 Organizations from all over the state, Michigan lawmakers, and private individuals have been instrumental in organizing this year’s rally. 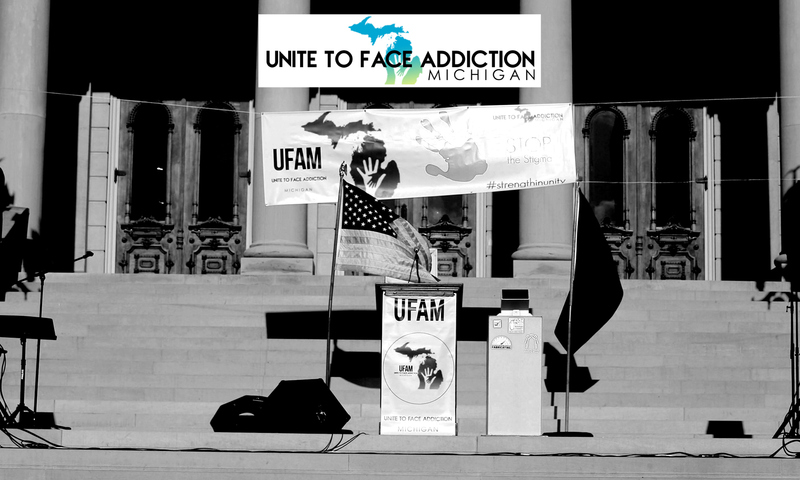 UFAM is dedicated to unifying the voices of the millions of Michigan citizens impacted by addiction. As well as give a voice to the many organizations working to change the way addiction is perceived and treated in our state. Holistic Tent with Yoga, Acupuncture, Reiki Therapy and much more! 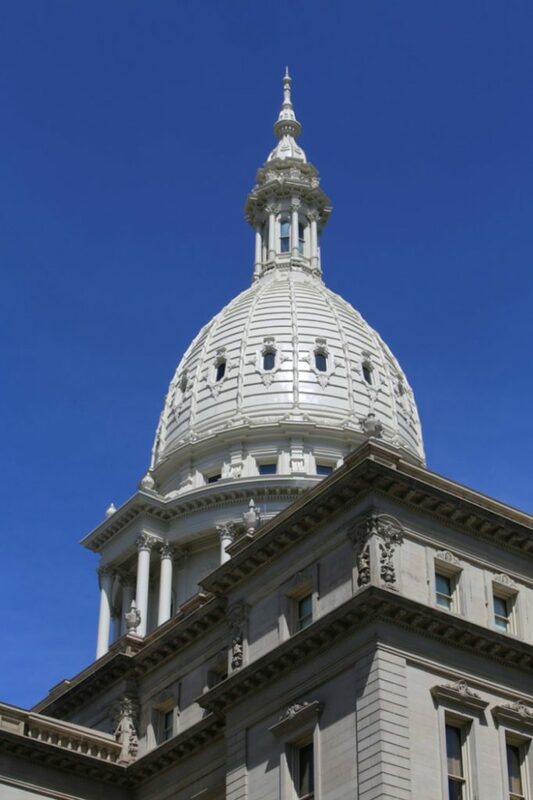 Join us at the capital building in Lansing, Michigan!